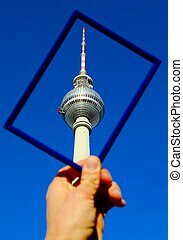 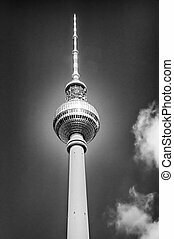 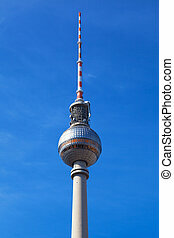 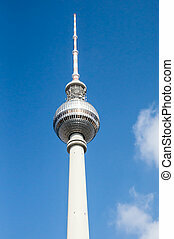 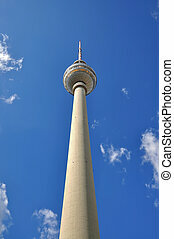 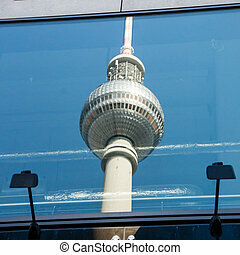 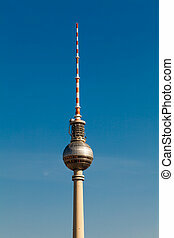 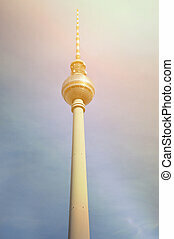 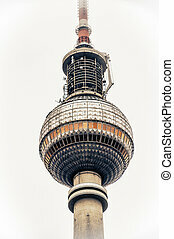 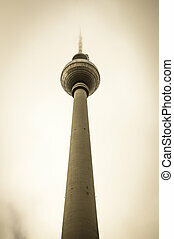 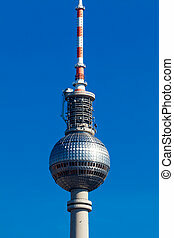 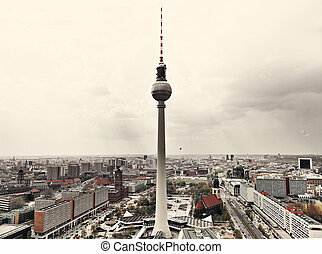 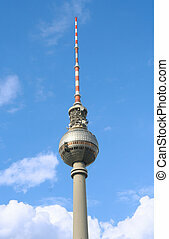 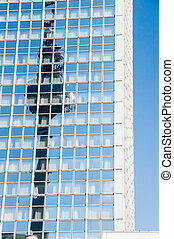 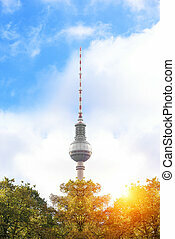 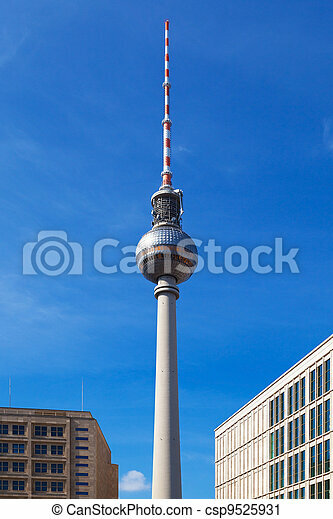 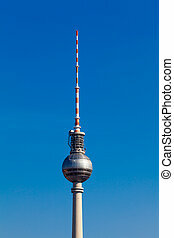 Berlin tv tower from alexanderplatz. 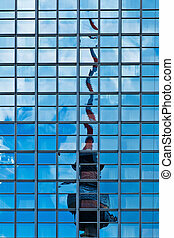 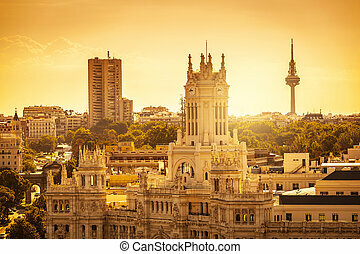 Madrid TV Tower, Spain, where TV news and programs of spanish public channel are produced. 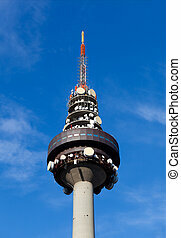 Torrespaña has a height of 232 meters with the communications antenna. 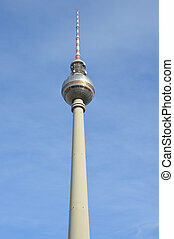 Began to rise on February 17, 1981 and was completed in 13 months.